Showa-era Japanese style dresses and kimono girl illustrations, line art for coloring, papercraft data, etc. These designs comprise 9 works from "Pretty Dolly" works created between 1988-1995. 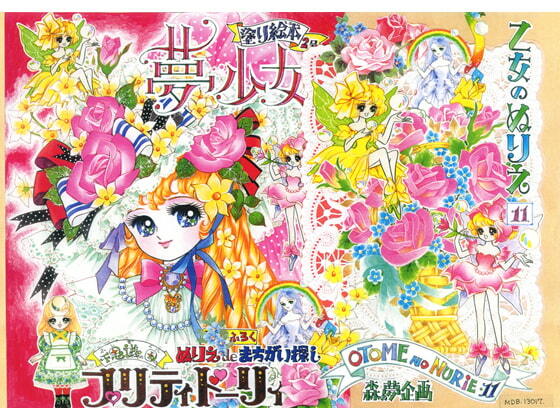 An additional 11 works are included, plus 2 mini kisekae works, and others (including princess character). 28 total pages of content.